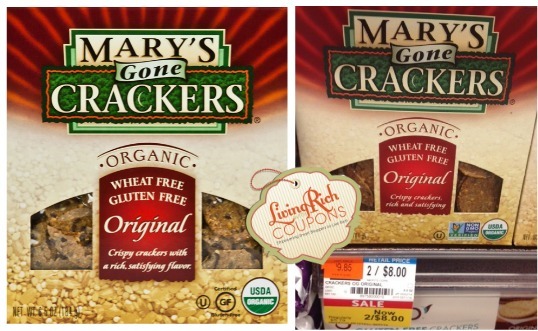 I’ve heard lots of good things about these Mary’s Gone Crackers Organic Gluten Free Crackers! They are regularly priced at $5.79 per box at Whole Foods, but are on sale now through April 1st for just $4 per box. 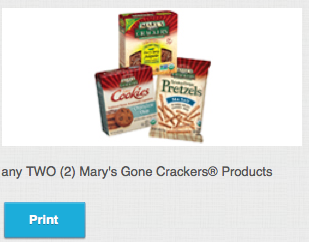 There is a $1.50/2 Mary’s Gone Crackers Manufacturer’s Coupon to stack with the $1.50/2 Mary’s Gone Crackers Whole Foods Coupon that we can use to score these for just $2.50 per box! That’s over 50% off the original price! Kids Eat Free with Purchase at Olive Garden! 50% Off NERF N-Strike Elite Centurion Blaster New Target Cartwheel Offer – Today Only!